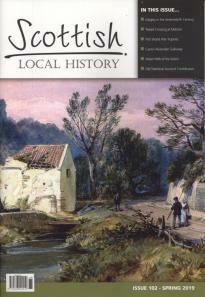 The Scottish Local History Directory is the result of a collaboration between Scottish Local History Forum, the National Library of Scotland and Local Studies Scotland (LOCSCOT) and was inspired by the invaluable publication "Exploring Scottish History" by Michael Cox (last published in 1999). The project was made possible by work placement students from the Information & Library Studies programme at the University of Strathclyde. 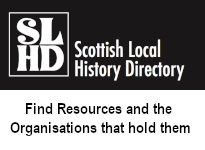 In addition to providing details of the Resources and the Organisations which hold them (including links to the Resource itself if online), the Directory aims to include guidance for the local historian. It also allows Organisations holding Resources to raise their profile. We interpret ‘resources’ in its broadest sense whether available online or not and whether digitised or not. 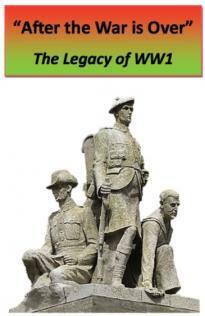 It will include collections of physical artefacts as well as organisations which may not have an archive or collection but can offer access to local knowledge. 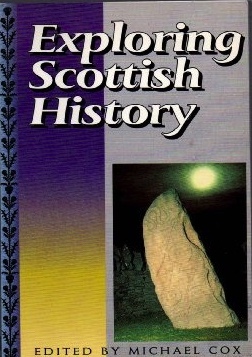 The aim is also to include Scottish local history resources which are held outside of Scotland. The information contained within this Directory is submitted online by Organisations holding the Resources and they are invited to update it annually. The objective is to provide a resource which is easily accessed and so no login or membership is required, either to use the Directory or to submit information to it. The Directory is free to use and also free to Organisations wishing their Resources to be listed.